Broadcast PRO is our flagship Premium Wordpress Theme for Streamers, built specifically for flawless integration with twitch.tv, mixer.com, and YouTube Live straight out the box. Let Broadcast PRO be the home for all your stream news and information. 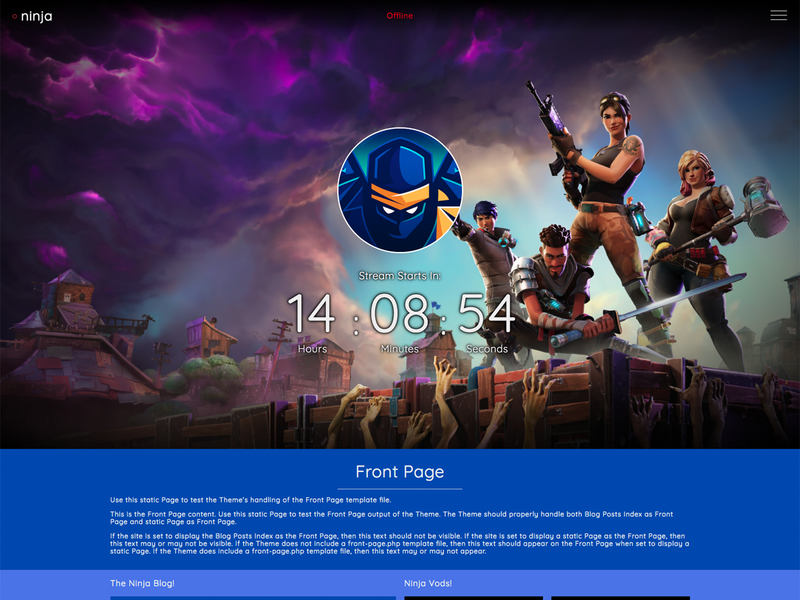 Use it to blog, make announcements, let users keep track of your schedule, add a countdown to your next stream in real-time, link out to your partners and affiliates and much more! Ability to show ‘online’ status, ‘viewer count’ and ‘game playing’. Easy blogging & announcements through WordPress. Fresh, sleek design which works flawlessly across desktop, tablet, and mobile devices. Control the entirety of the Broadcast Layout and Titles – toggle sections on or off depending on your needs. Unlimited color schemes, customize Broadcast PRO to match your own stream graphics and branding with our easy Theme color-picker. Advanced schedule integration with a real-time countdown to your stream every single day. Add affiliates to link out to your partners, friends, and sponsors. Get premium support – we’re here to help you with all your questions, queries and needs. Broadcast PRO is a Premium WordPress Theme for Streamers, professionally built from the ground up following all of the WordPress best practices and standards. Unluck the Stream Integration through our Companion plugins. Broadcast Companion (free) – unlocks the Twitch API integration. Broadcast Companion Mixer – unlocks the Mixer API integration. Broadcast PRO is only available directly through us the StreamWeasels website. Buy it now and take your streaming career to the next level! Incredibly happy with the Twitch integration. Very user-friendly and easy to implement. Everything about it screams professional and I’ve gotten only positive feedback from the visitors on the site! The best template I have owned. The twitch integration looks completely professional and this is simple to manage and maintain. I cannot wait to see what other cool stuff will be added in the future. Loving the ease of use of this template so far! 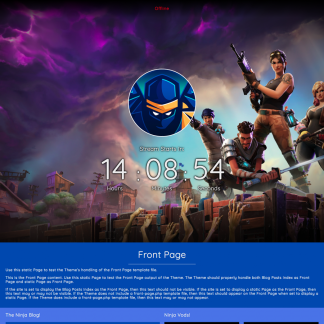 Best wordrpess theme for streamers. For Mixer support, can it show interactive while live? That’s one question that will help motivate my purchase choice.